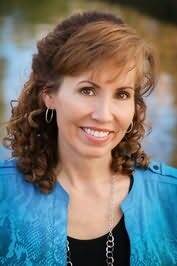 Lisa Wingate is a former journalist, inspirational speaker, and New York Times Bestselling Author of thirty novels. Her work has won or been nominated for many awards, including the Pat Conroy Southern Book Prize, the Oklahoma Book Award, the Utah Library Award, The Carol Award, the Christy Award, and the RT Booklovers Reviewer’s Choice Award. Lisa writes her stories at home in Texas where she is part of the Wingate clan of storytellers. Lisa believes that stories can change the world. "Debrah Williamson creates characters who are spunky, flawed, courageous, lovable and above all real." "Fans of Karen Kingsbury's tender family stories will love this southern flavored tale of triumph and grace." "A writer who understands the secrets we keep and the truths we discover as women." "A tender tale filled with community, friendship, and love. Judy Christie creates characters you'll want to know and places you'll want to be. Don't miss your chance to rally round with the Gang from Green!" "A heartwarming tale filled with history, adventure, faith, and love." "Seasons of change take us home to the places and the people who shelter us. Well-told, and in turns sweet and bare, The Lake Season offers a compelling tale of family secrets, letting go, and the unbreakable bonds of sisterhood." "From the unthinkable tragedy of the 1918 Spanish Flu epidemic to the glittering speakeasies of the roaring twenties, Susan Meissner delivers a story of one family's heartbreak and hope. Strong, resilient, and determined to make their way in a changing world, Meissner's characters step off the page and into history." drifts far into the mysterious lives of Anastasia Romanov and Anna Anderson." "Katie Ganshert is a skilled writer who wrestles earnestly with the clashing forces of faith and fear." "Another girl once came of age at Green Gables. Spunky, smart, buffeted by tides of duty and ambition, loss and love, young Marilla finds her voice in Sarah McCoy's beautiful rendering of a beloved place, a complex woman, and a long-ago time. Deftly and tenderly told, Marilla of Green Gables is a must read for anyone who adored Avonlea and Anne and ever wondered, what came before?" "Fraught with danger, filled with mystery, and meticulously researched, The Lost Girls of Paris is a fascinating tale of the hidden women who helped to win the war." "A breathtaking read that will transport you over the rainbow and into the heart of one of America's most enduring fairy tales and the hardscrabble life that inspired it. Gripping, fascinating, Finding Dorothy is a novel for anyone who ever stared in awe as Oz came to life onscreen, and wondered what other secrets lay hidden behind the curtain. A dream of a book you'll want to savor and share!" "A story of family bonds, heartbreak, healing and hopeone that reminds us it is not how long we live but how well we live that matters most. The tenderly written ending will bring you to tears, but in the best possible way." "Glory Road brims with faith and family, second chances, and new horizons."